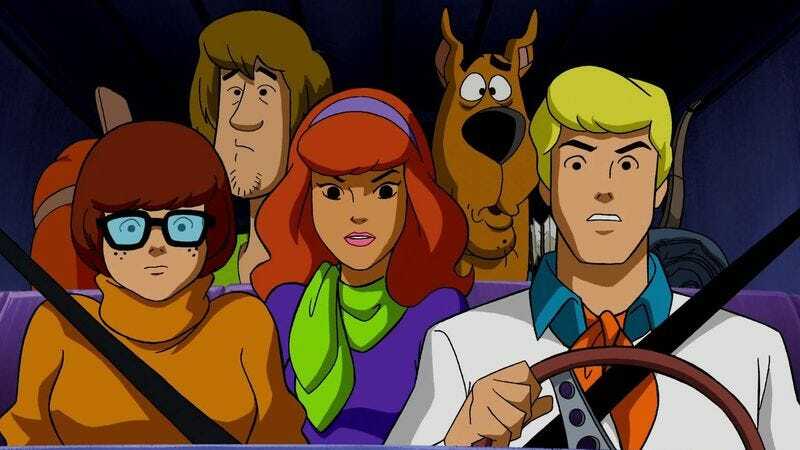 Warner Bros. to launch Hanna-Barbera cinematic universe with agents of S.C.O.O.B. If recent history has taught us nothing else, it’s that movies can’t be sent out into the box-office wild alone—they need allies, i.e., related films, to present a united, hopefully entertaining, front. Just think of how much better Zac Efron’s EDM DJ movie, We Are Your Friends, would have fared if it had been preceded by a comedy titled These Are Your Buds, starring Kristin Stewart as the owner of a medical-marijuana dispensary. With that idea in mind (well, not that specific one, because it’s ours), Warner Bros. has announced plans to create a cinematic universe for its Hanna-Barbera properties, which it will launch with that oft-discussed Scooby-Doo reboot. Warner Bros. shared these plans at CinemaCon 2016, as part of a sizzle reel for the Warner Animation Group (WAG). Only the barest of glimpses of the new adventures of Scooby-Doo and the gang was given, though we do know that the title is S.C.O.O.B., so maybe the reboot will see the Mystery Machine traded in for something more like the Zephyr One. The studio, which is still trying to get a handle on the DC Extended Universe and the varying tones of its movies, didn’t proffer much info on how new crossovers between The Flintstones and The Jetsons would work. But since it appears to be leaving that up to WAG, the “brain trust” that’s overseen The Lego Movie and The Lego Batman Movie, anyone who is interested in seeing Jonny Quest hang out with Yogi Bear can probably be cautiously optimistic.